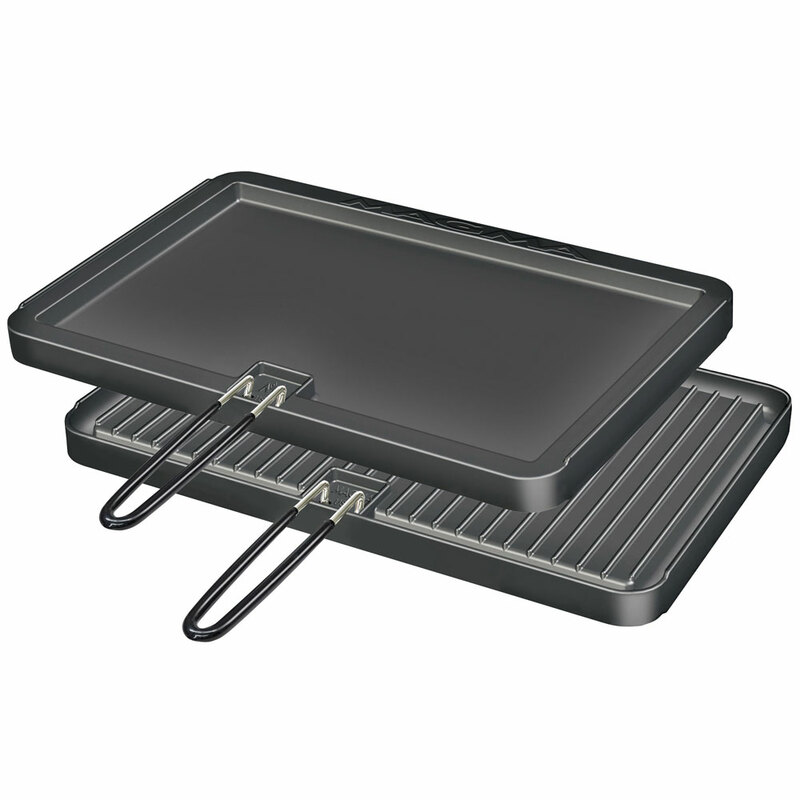 Magma 2 Sided Non-Stick Griddle 11" x 17"
They've been a long time coming, but Magma are finally releasing the Griddles to complement their range of stainless steel BBQ's. Non-stick, two sided Griddles These Griddles are coated on both sides with Dupont Teflon Platinum non-stick for durable trouble-free use in the most extreme conditions. One side of the griddle is smooth for preparing eggs, pancakes, etc. the other side is ribbed for grilling sausages and meats while the grease is removed away from the items being cooked. Convenient removable handle included.